I have serious back issues and have had many back surgeries. I have tried a few different mattresses but could never find one that was comfortable until this one. I can adjust it to fit my comfort level. It helps me get a good night sleep because it isn't too hard. I don't wake up in so much pain or stiff the way I use to. This bed is a little pricey for some but if you suffer from pain I think this bed will give you more rest than most of the beds out there. I love it. I have slept better in the last year of my life then ever before. I'm 36 years old. I love that I can adjust the comfort of the bed with just a few numbers. Its actually quite genius. I sleep better, I wake up happier, I feel more energetic than ever. Very pleased with this bed. I love my bed overall. I been pregnant twice and used it on a very low setting (25) to help my hips and growing belly. I nursed and coslept with the setting at 100. Now, I sleep at 75. The bed is good for different stages of life and inevitable injuries that happen. Just change the setting to fit your needs! My only wish is that the foam on top was bit thicker for a little more cushion. Overall it's given me great nights! We bought this bed over 4 years ago. The first 5 to 6 months were great compared to our old mattress. But after that it started to hurt our backs. My husband would wake up in pain in the early morning saying he had to get out of the sleep number bed because it was killing him. For me I would wake up in pain ever hour or so with my back, arms and shoulders killing me. After 3 more years of pain we can no longer sleep on it. We purchased a different mattress. I do not recommend this bed if you have back issues or hip problems. Sleep Number Bed Performance Series p5 Mattress are one of the most comfortable mattress i ever own .The support is amazing and high quality makes a great night sleep great and i wake up morr energize. 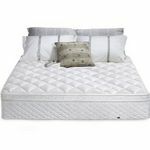 Sleep Number Bed Performance Series p5 Mattress also hold its shape longer than other leading brand mattresses. I love Sleep Number Bed Performance Series p5 Mattress and i will buy it again . I absolutely love this mattress !! After having the same mattress for 8 years I was ready for a change and wanted a good mattress which is why I chose Sleep number . I knew I wasn't getting good sleep with the old mattress but never realized that it could be the mattress causing my issues! Since getting this mattress I sleep so much better! 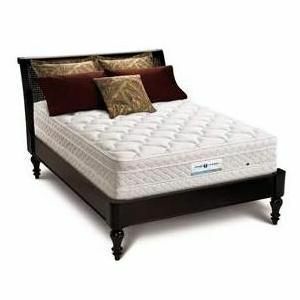 It's soft and comfy but has the support you look for in a mattress without being to mo hard! My husband and I both love it! I went to the Sleep number store with my Aunt, they took us through the whole presentation and helped us find out Sleep Number and what bed works for me. I had to talk my fiance about how great Sleep Number is but my aunt purchased her Sleep Number P5 Series on the spot. So I thought I would get her to test her sleep number out before I purchase mines. She's had nothing but buyers remorse from the time they came to setup her bed. She knew it would look just like the set up in the store but it should look somewhat presentable. Her bed frames were loose, they left the wiring hanging down, and the bed sheets she purchased from the store didnt fit her mattress. She measured the bed and it wasn't a Queen Size, it was more like a full. I can say when she laid down to go to sleep, she slept like a baby. She told me the only thing she could remember was getting in the bed and waking up the next morning. She suffers from chronic pain in her body, so the option to adjust her feet & head setting helps her out along. Even though the massager is very loud, it really does relaxes your body. I was actually really excited to have one of these in my bedroom at a lodge I stayed at in Shenandoah, Virginia. When I woke up though, I have never had my back hurt so bad and struggle so much to raise myself up. Maybe if a doctor assesses you and programs the bed specifically to your particular needs it would be nice, but from my experience with it, and setting it to what I felt was comfortable, waking up was not a pleasant experience what so ever.